With the rising integration of smart technologies in the workforce and daily lives, ACF recognizes the importance of technical literacy for future generations. ACF, Junyi Academy (誠致教育基金會) and partners introduce Hour of Code (HOC), a global movement aimed to raise awareness on coding education in schools, to parents and teachers of Taiwan. ACF aims to reach 200,000 users in 2016 as well as work with teachers and professional volunteers through a series of workshops to train and, more importantly, to develop a curriculum and blueprint to bring into all classrooms. The ability to code not only empowers the ability to create and problem-solve but the ability to control computers. A movement initiated by Code.org and Microsoft, HOC uses one-hour to introduce coding to participants reaching over 120 million globally in more than 180 countries. Suitable for ages 4 to 104, computer science from elementary education is presently a compulsory curriculum in the United States, England, South Korea, and soon to be in Taiwan - by 2018. Having the ability to code will not only increase professional opportunities, but will likely stand as fundamental knowledge in the future workforce. In a world without borders, it is critical for Taiwan’s youths to catch-up to the world trend. Presently, a small group of teachers have taken the lead to teaching coding; ACF unites the group to develop coding curriculum and blueprint for teaching. ACF brings together volunteers from diverse channels. With the support of industry professionals, teachers new to teaching the course will be facilitated to ensure its success in the classrooms. During summer holidays, ACF works with high school student volunteers to lead HOC in summer camp classrooms for elementary school children. Through workshops at ACF’s teacher’s training centre – Junyi Centre for Teaching & Learning, volunteers undergo a series of volunteer training to better prepare for the classroom environment – to better harmonize with students and teachers. To further expand the movement, ACF also works with over 30 corporations based locally such as Microsoft, Google, IBM to popularize HOC among company staff, families, clients, suppliers, and more. For continuous learning of coding, ACF and partners will combine existing curriculum from Code.org and Scratch - a second platform that offers free education for visual programming language. The course will initiate from Code.org’s eight games, and continue into more advanced learning programs from Scratch with less tutorial allowing users to think creatively, reason systematically, and work collaboratively to reach its goal; aiming to develop logical thinking - giving students the freedom and independence to find their own answers. With the support of teachers, industry professionals, ACF hopes to create a ripple effect bringing coding to eventually all primary and secondary school classrooms. 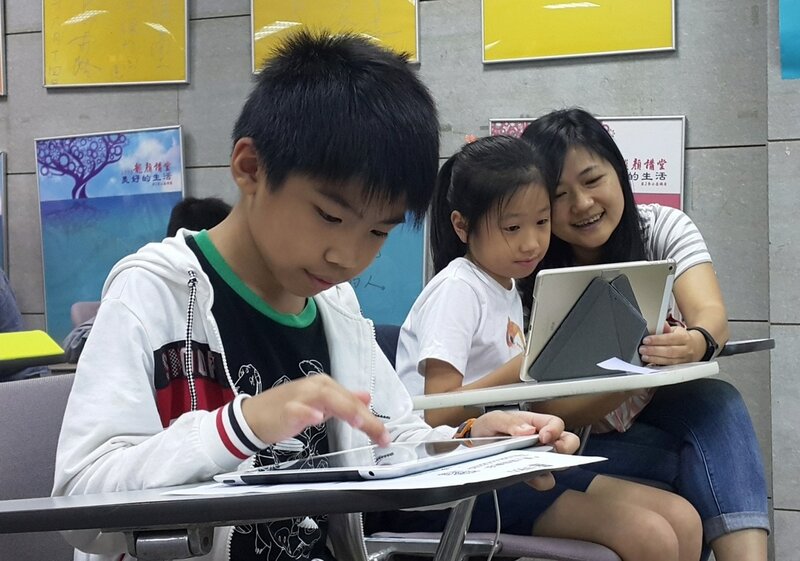 ACF hopes its efforts will one day empower a better future for Taiwan’s generations to come.